My adventures with bicycling continue into 2017. Today is the anniversary of one of the scariest moments of my life and I cannot remember the car hitting me. Today back in 2014 I was hit by a car while bike commuting to work. 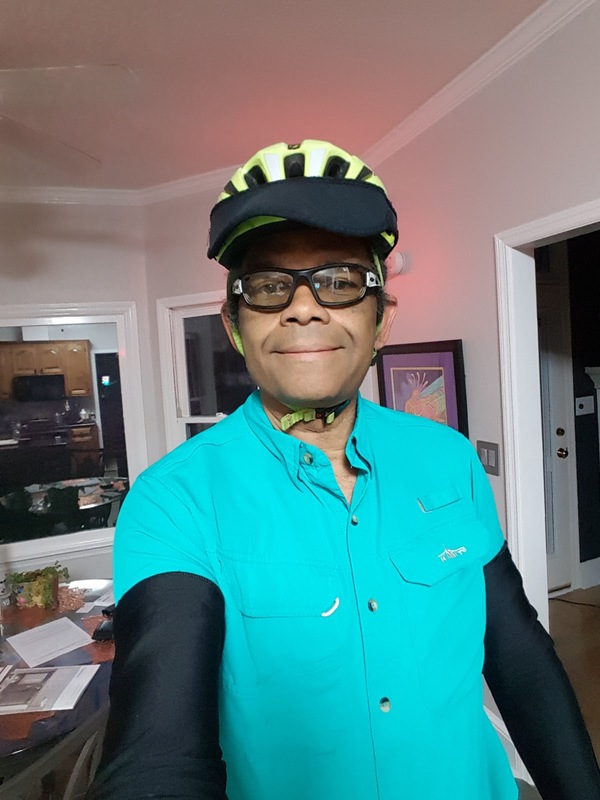 Today I am bike commuting to work on my cruiser bike with a titanium full hip replacement that I got on October 3 2016. I am glad to be alive and riding my bike. I use to have deep life reflections on the last day of the year, but now I have a fondness for doing life reflections on St. Patrick’s Day. I have never been a big fan of holidays. I tolerated them when my two children were small and I seem to be getting back into the holiday spirit with my wife +Sylvia Wormley . St. Patrick’s Day was always at the bottom of my list of holidays when I was in grade school with all of the pinching and wearing green. Well today I am wearing green. I am not wearing a green bike jersey, just a plain old shirt because I am bike commuting in street clothes. I have had two stints in a walker due to cycling accidents since moving to Albany, Georgia. I still find that the cycling here in South West Georgia to be some of the finest that I have ever experienced. I am really glad that I can still ride a bike. Transformation is amazing, but it is hard work. For me getting back into shape is a process that I know cannot be rushed. This time around I am not being so compulsive about it. I am really taking time to smell the knockout roses (go ahead and laugh, I know you cannot smell these type of roses). Instead of a 25 mile commute I am doing a 4.5 mile commute to work. I am taking my time slow rolling through the back streets on my way to and from work. Why am I so passionate about bike commuting? There are a bunch of reasons why I like to ride a bike to and from work. One of the main reasons is that I like human powered transportation. i also like doing multiple things at once. when I ride my bike to work I not only accomplish one less car on the road, but I am getting a breath of fresh air and exercise while transporting myself to and from work. The environmental impact of burning fossil fuels just to get to work makes a big negative impact on the environment. I like doing my small part just by keeping my truck off the road as much as possible. It was 34 degrees on my ride into work this morning. I had the opportunity to wear my Shower Pass jacket and arm warmers today. Wearing a cross between street clothes and high end cycling gear is a first for me. I have gradually taken gear off of my road bike and installed it on my cruiser. I laugh at myself as some of my gear by itself cost more than my used $300 cruiser cost.